For more information and to register visit this website. See bottom of the page. Held in conjunction with the Great Lakes Fruit, Vegetable and Farm Market Expo at the DeVos Place Convention Center and the Amway Grand Plaza Hotel in Grand Rapids, Michigan. University, government and industry experts will come together to share the latest research findings on, techniques for, and experiences with vegetable grafting as it applies to commercial vegetable production in the U.S. 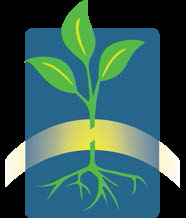 Topics to be covered at the symposium include propagation technology (including grafting methods), rootstock breeding and evaluation, and the performance of grafted plants under many conditions. Growers will discuss their successes and challenges in preparing and using grafted plants at all scales and for grafted plant use in various production systems. A full Symposium schedule with speakers and topics is available at this link. for the PDF. Online registration will begin on Sept. 28, 2015. We encourage you to register and make hotel accommodations early as they fill up quickly. To learn more about vegetable grafting, visit the grafting portal at this website. This material is based upon work that is supported by the National Institute of Food and Agriculture, U.S. Department of Agriculture, Specialty Crops Research Initiative under award Number 2011-51181-30963. Any opinions, findings, conclusions, or recommendations expressed in this publication are those of the author(s) and do not necessarily reflect the view of the U.S. Department of Agriculture. This entry was posted in Agricultural IPM, Seminars/Symposia, Vegetable IPM. Bookmark the permalink.